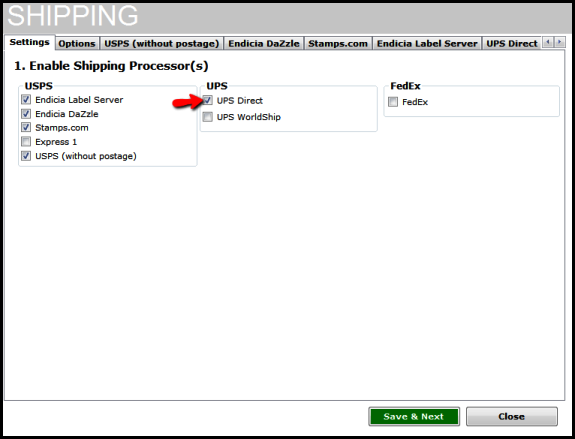 To be able to ship using UPS Direct, ensure that the same is selected as an option in your store configuration. To access this configuration, please go to File >> Configure Store >>Shipping. 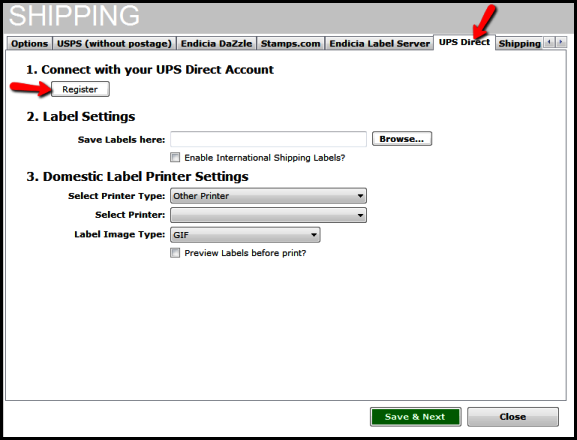 Once selected, click the UPS tab in the shipping screen and then on the register button to fill in your details and register for the UPS Direct service.